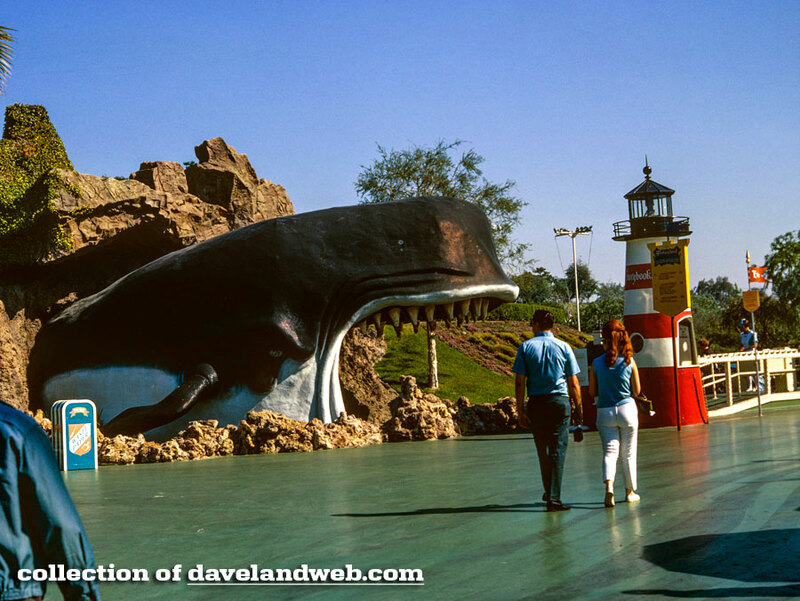 It’s a huge one today, folks. 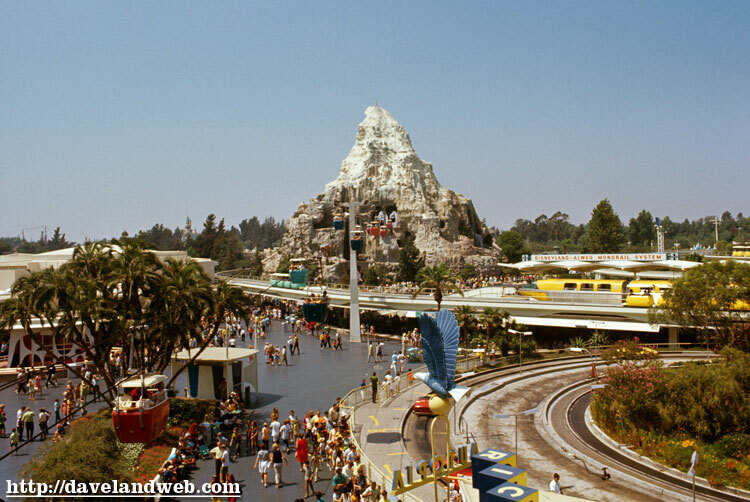 Hope your computer has enough memory for all of these (although it shouldn't take as long as one of Matterhorn's SOP Manuals!) 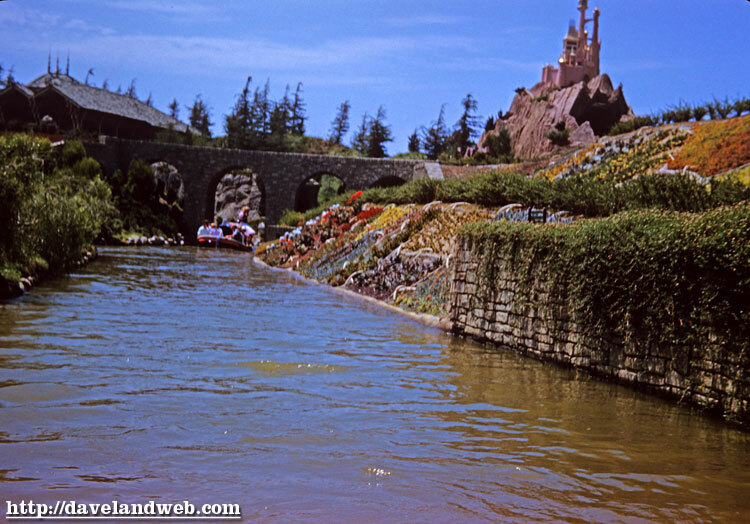 Today I am presenting a large selection from two of my favorite rides that coexist very well together: Casey Junior and The Storybook Canal. 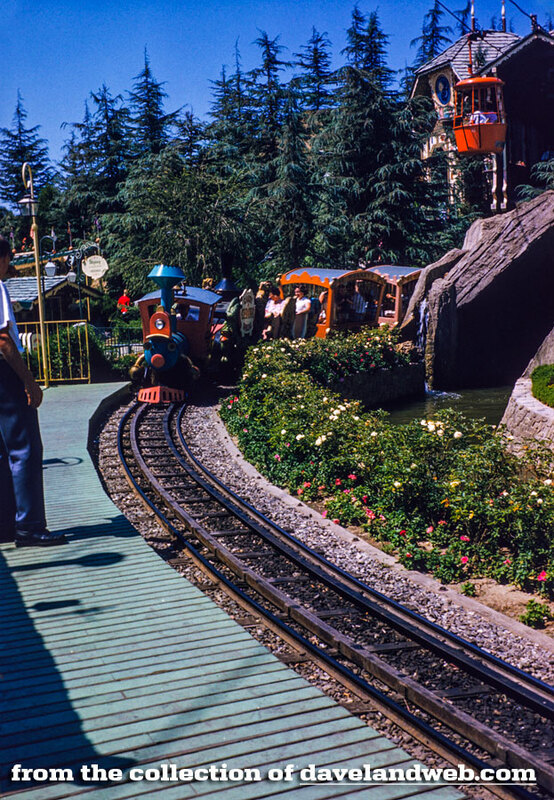 Although both were basically present opening day, malfunctions kept Casey closed until 7/31, and it wasn’t until about 1956 that Storybook became the ride it is today. 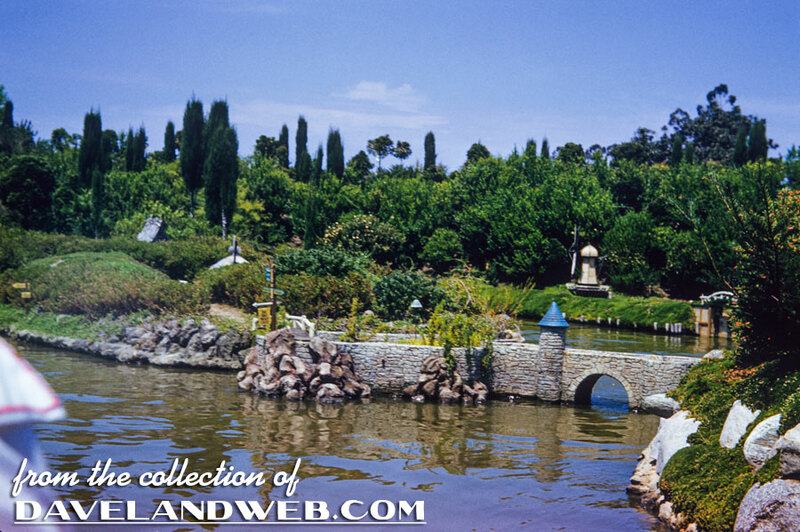 The miniature buildings and plantings always amazed me. 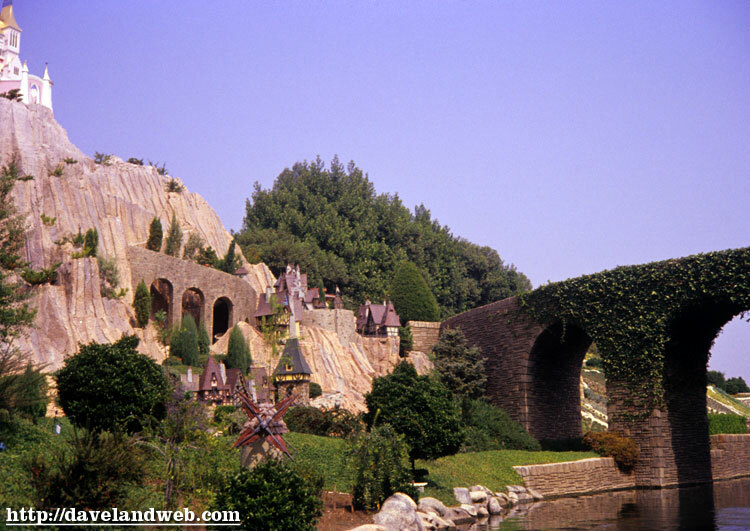 For me, this ride accomplished what Snow White was supposed to; since there are no people, you feel like you are part of this world. 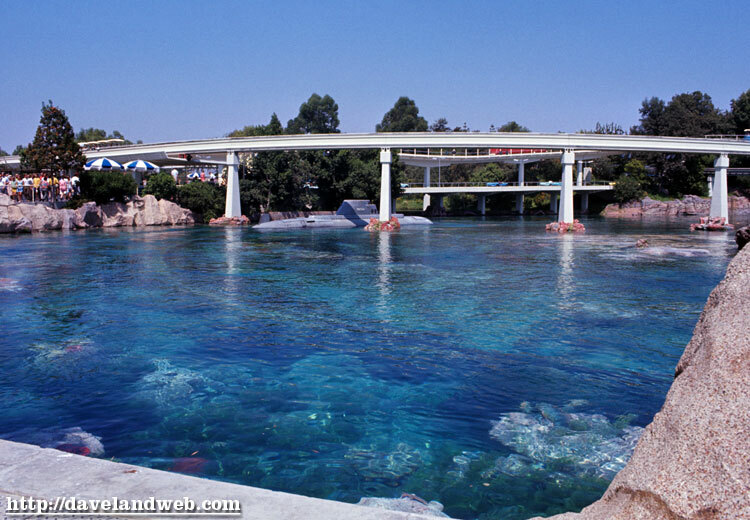 Well, at least until you see something jarring like a full-sized duck sunbathing on the shores of the Canal! 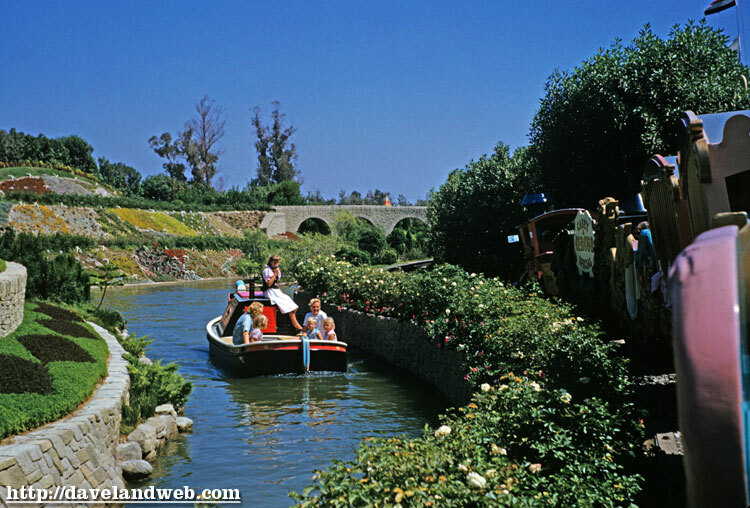 So, enjoy this medley of scenes from Casey & The Canal. 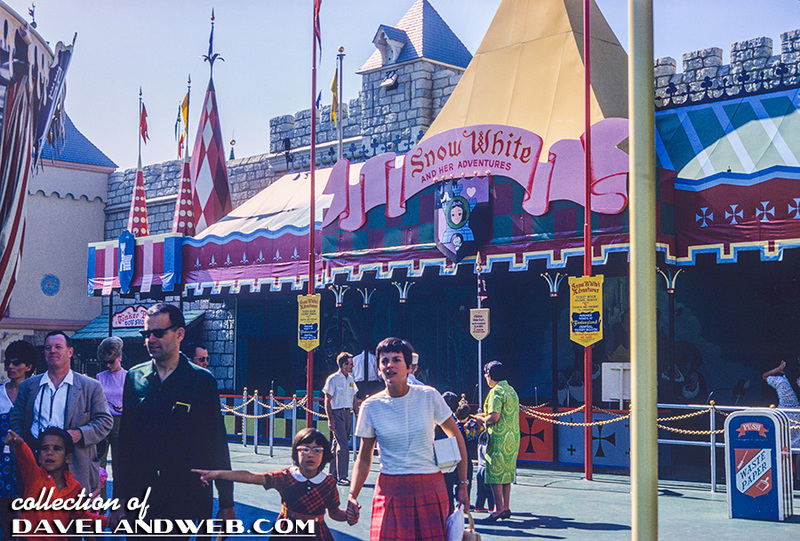 The last slide is one I recently acquired (totally unrelated) that shows the Snow White attraction in March 1968; I have lightened the load area to show some of the detail a little better. 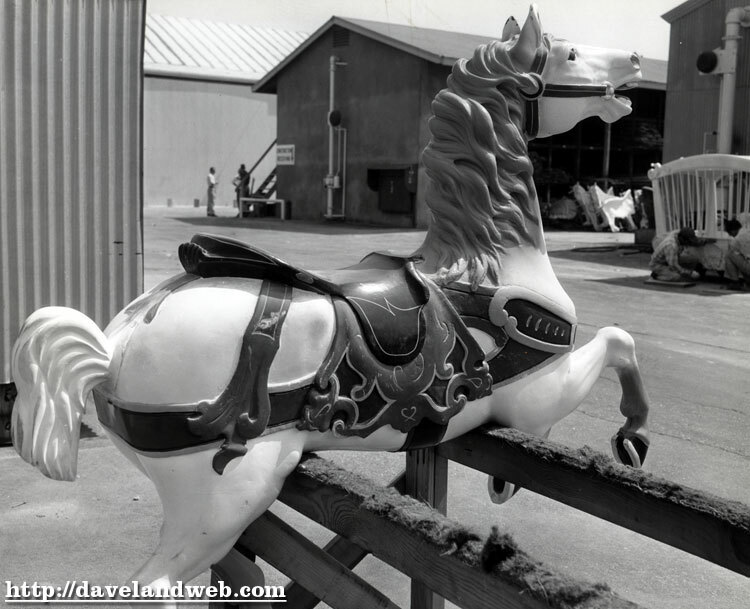 Happy New Year and thanks for a fantastic year of photos, info, and new friendships! 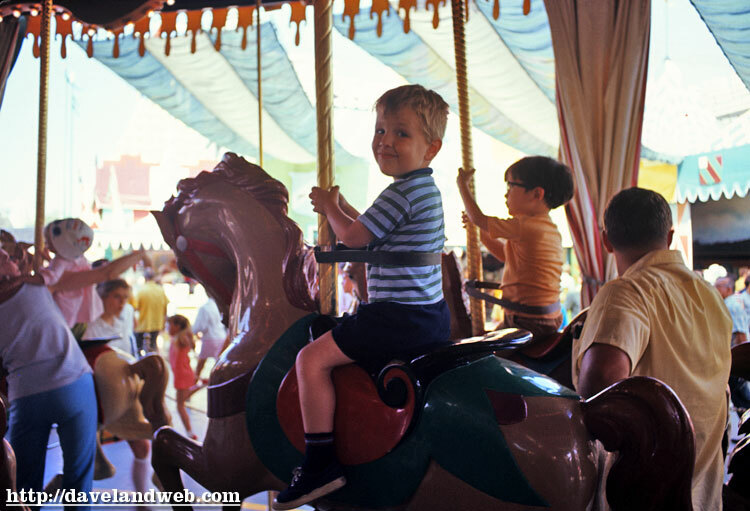 Moving away from my lamentations of what is lost, today I will focus on King Arthur Carrousel, which is still packing 'em in! 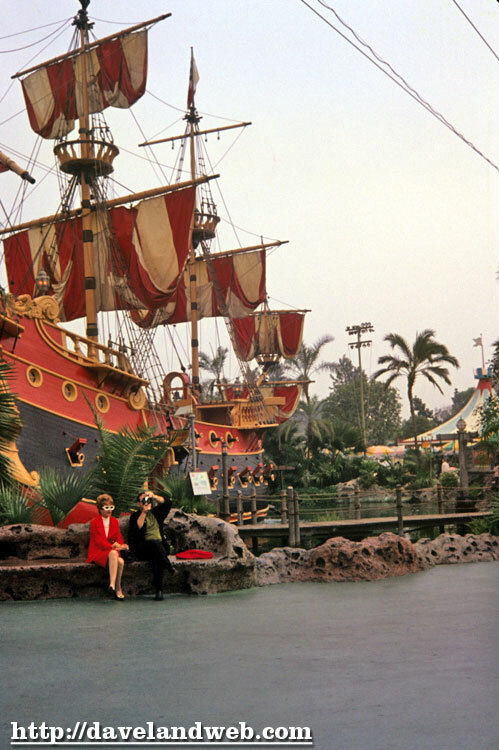 The first shot is a nice one from March 1968, which is almost as entertaining for the fashion show as it is for the attraction itself. 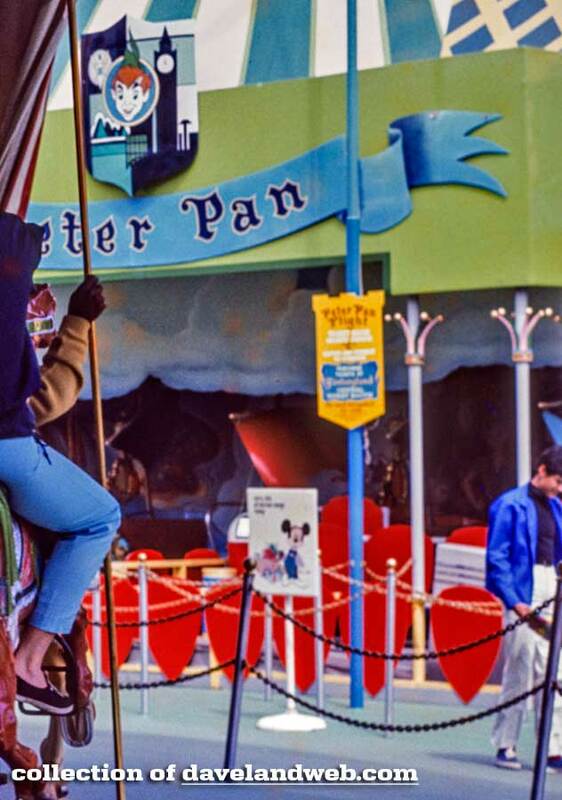 Shot 2 (undated, but I believe early 1960’s) also shows the original Peter Pan façade. 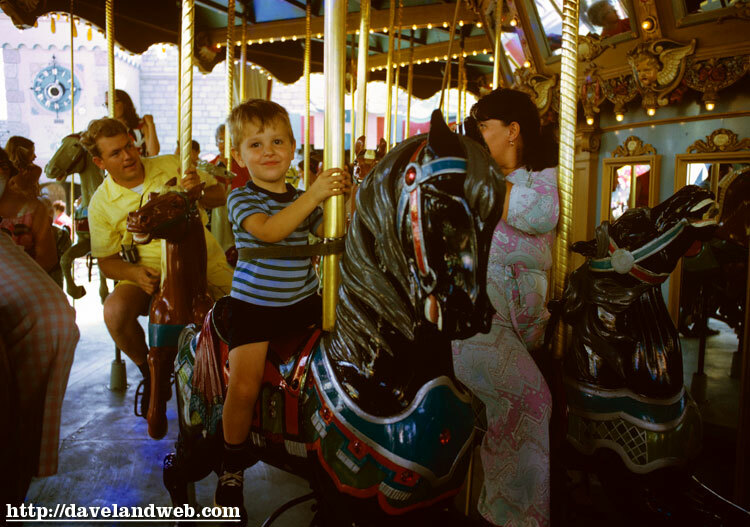 3 & 4 are from September 1969, and the little boy must have loved it, as he rode it at least twice (note the different horses he is on). 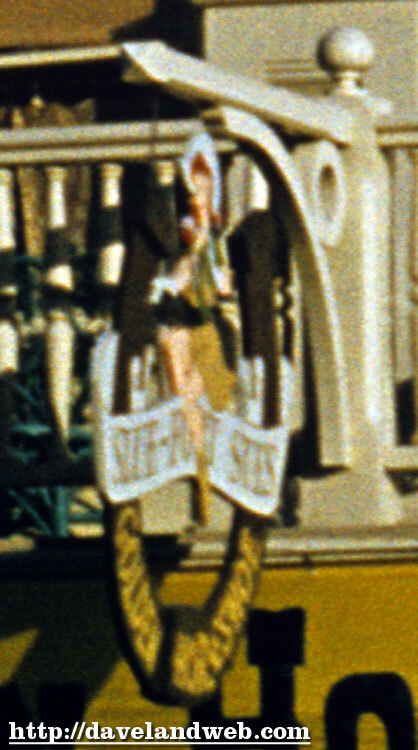 Zooming in, it appears that the sign with Mickey Mouse is alerting guests that Peter Pan is under construction. 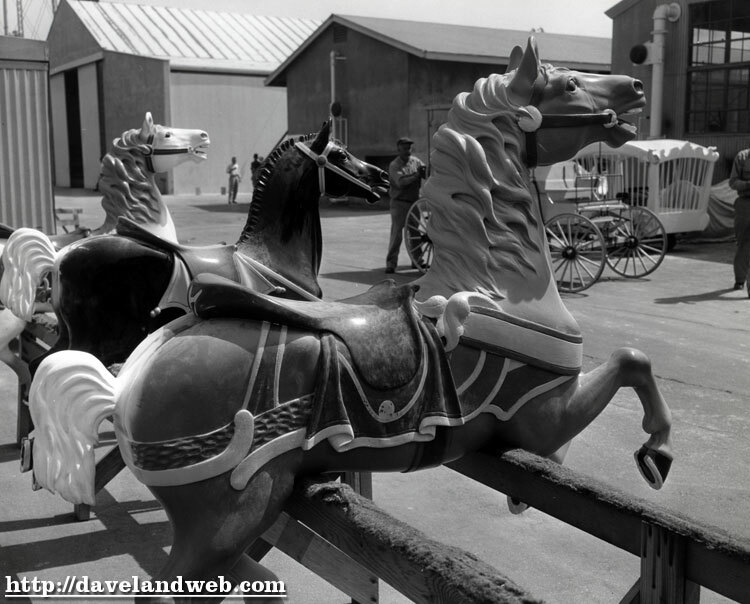 The last pic also includes a detail of the ticket booth in front of the Carrousel. 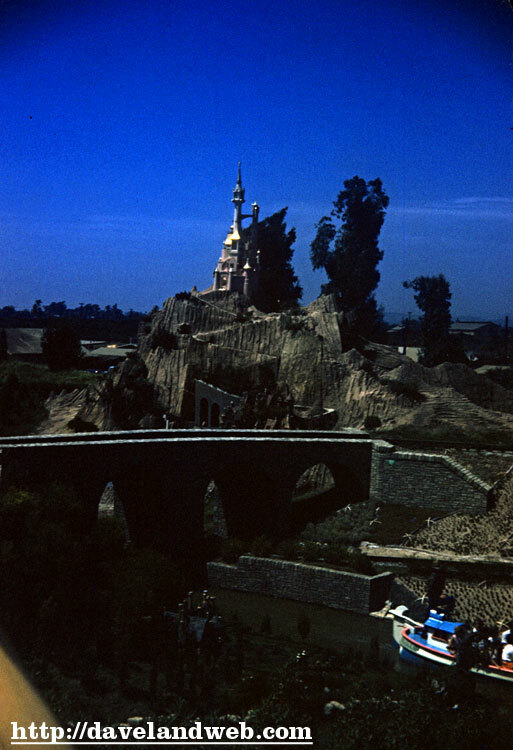 Again, slide undated but most likely early 1960’s? 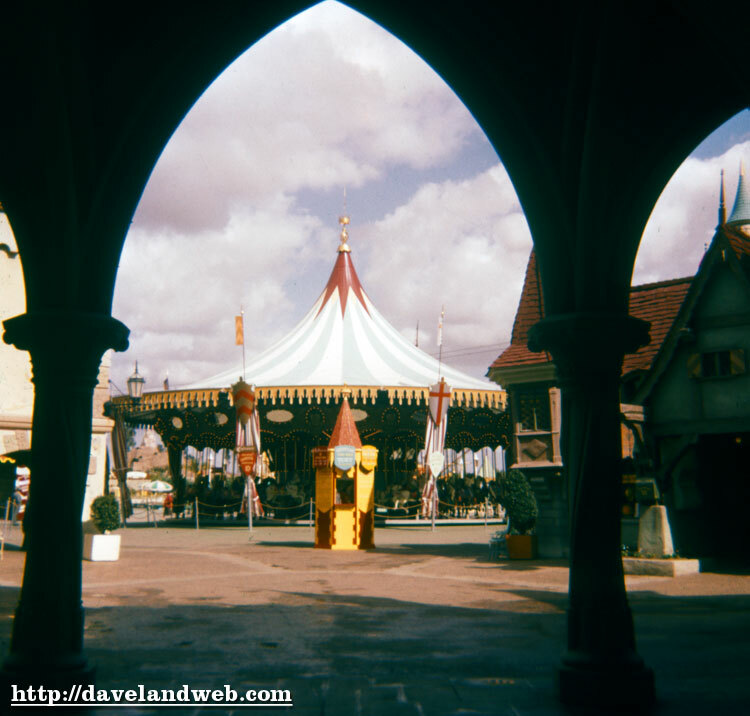 See more vintage & current King Arthur Carrousel photos on my Carrousel web page. 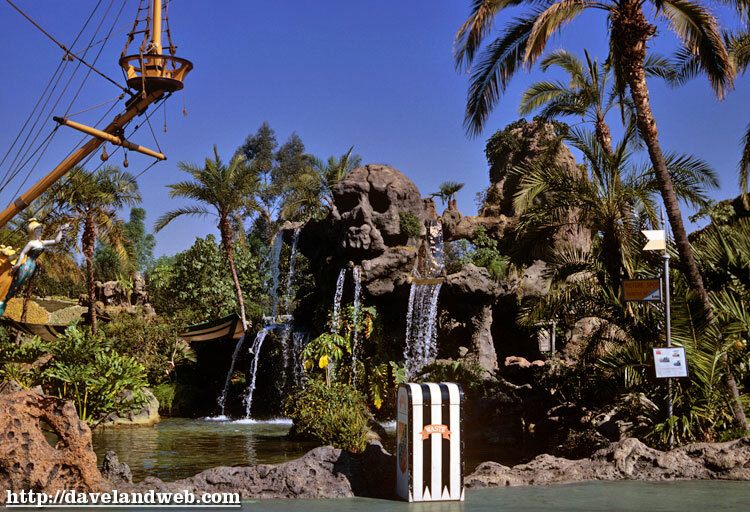 Yet another favorite “lost” area is this area in Fantasyland that used to be home to the Chicken of the Sea Pirate Ship Restaurant and Skull Rock. 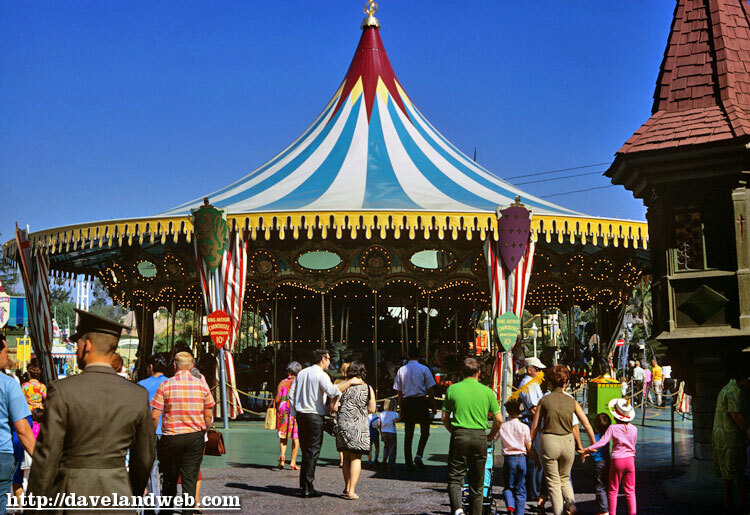 Ripped out during the Fantasyland remodel and replaced by Dumbo. 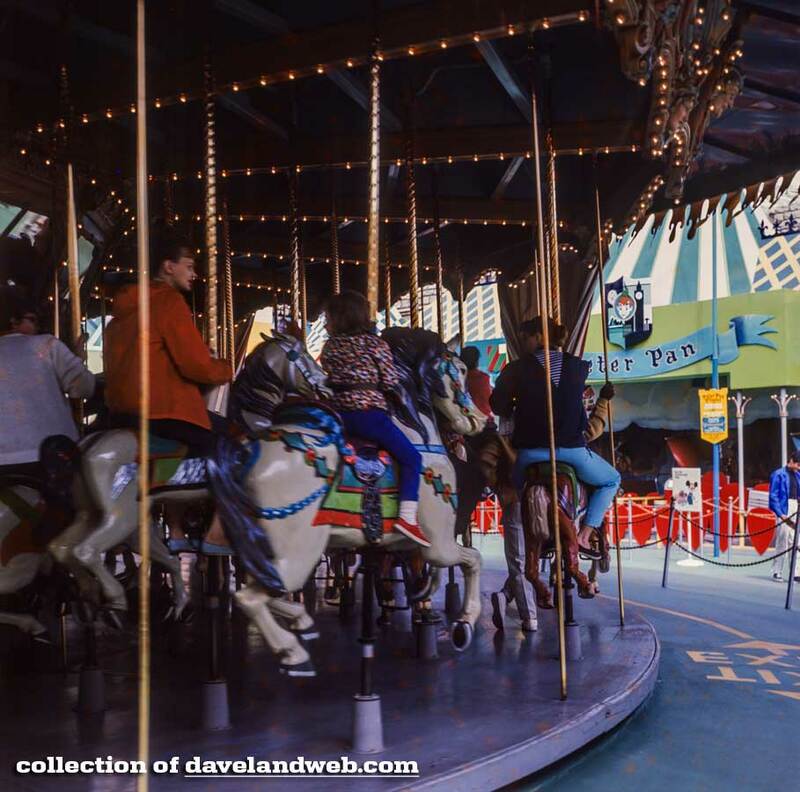 Moving on from my lament, here are 5 great photos from March 1968. my fave is the last one, which gives a nice overview from the (also now defunct) Skyway. 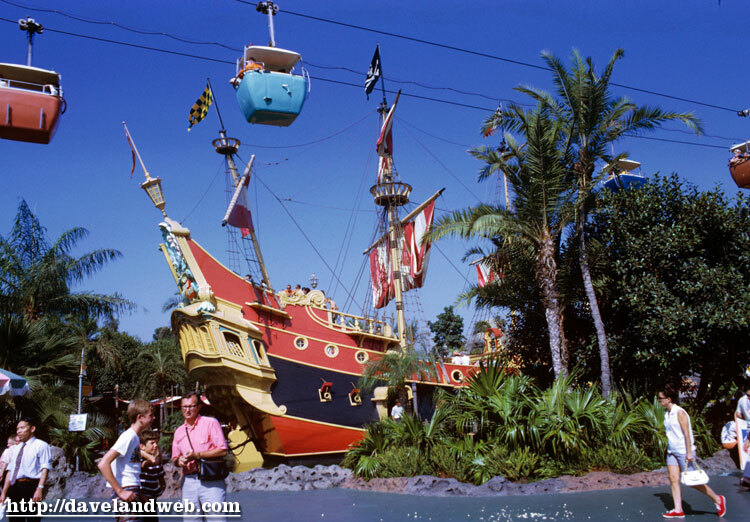 For more vintage Chicken of the Sea Pirate Ship photos, visit my regular website. 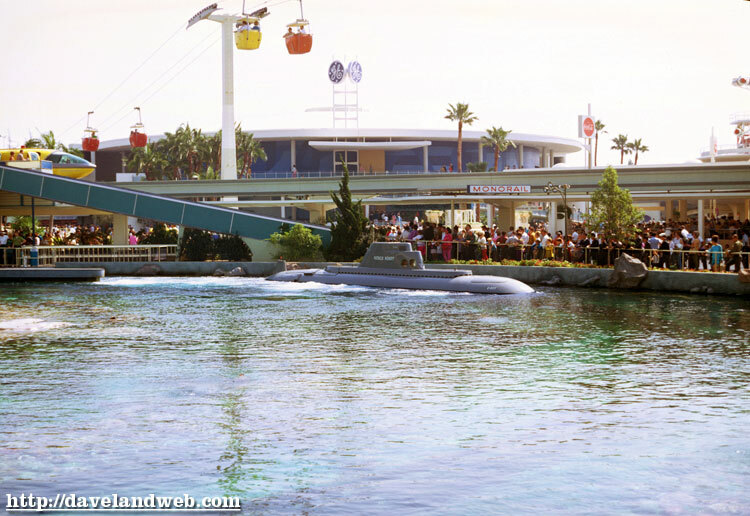 Here’s a little sub action today, with some various shots of the defunct submarine voyage. 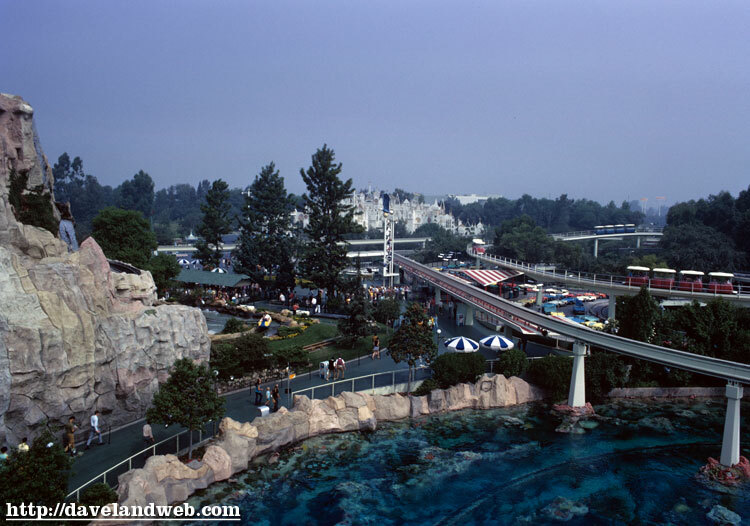 I forgot how much I enjoyed this ride until I watched the recently released Walt Disney Presents DVD. 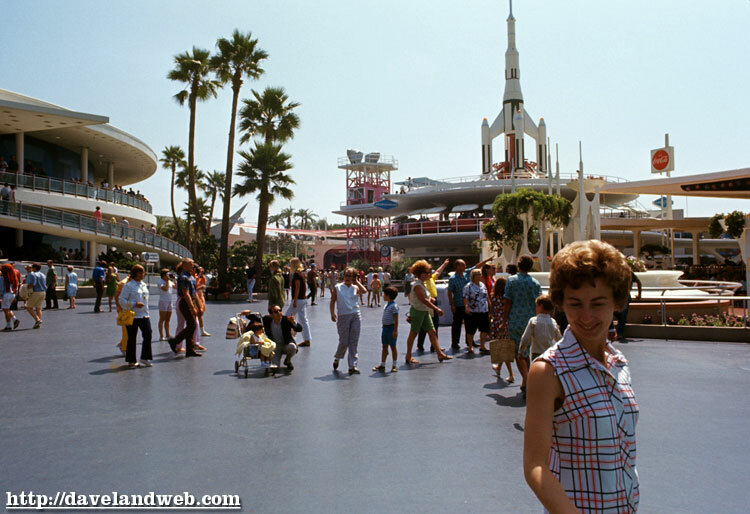 The first 2 shots are from Sept. 1969. 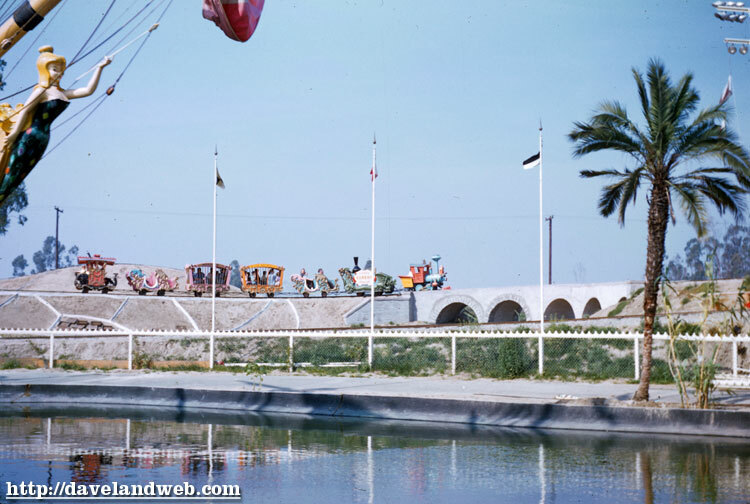 3 & 4 are from March, 1968. 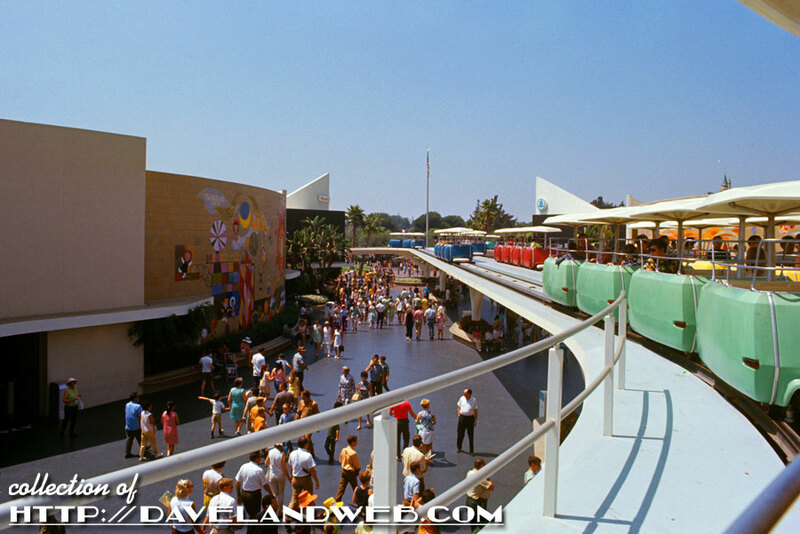 Shot 4 has a little bit of everything; yellow monorail, skyway, and the Carousel of Progress. 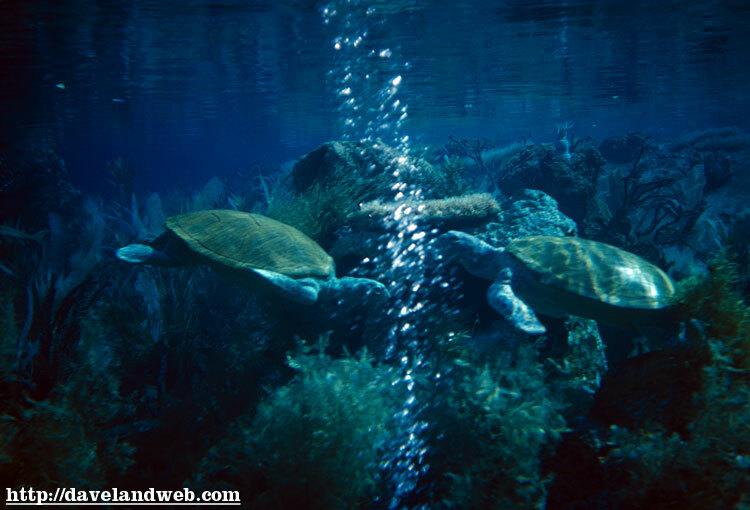 The last shot is from February 1965 and has a little underwater turtle action. 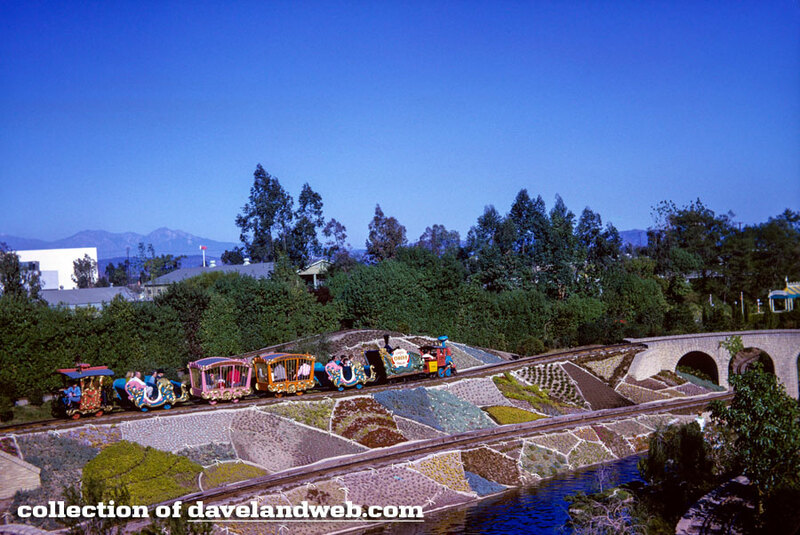 For more vintage and current Disneyland photos, visit my regular Disneyland website, davelandweb.com/disneyland. 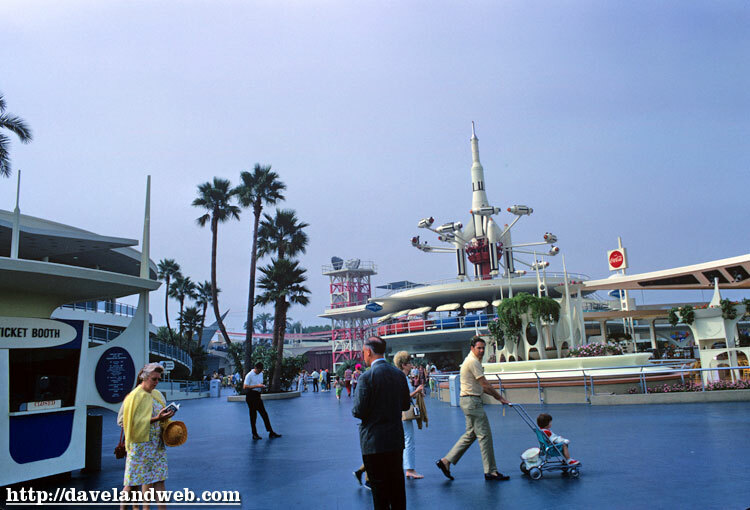 Shot 3 gives a glimpse on the left of the Carousel of Progress building, and 4 & 5 give other overview angles of Tomorrowland. 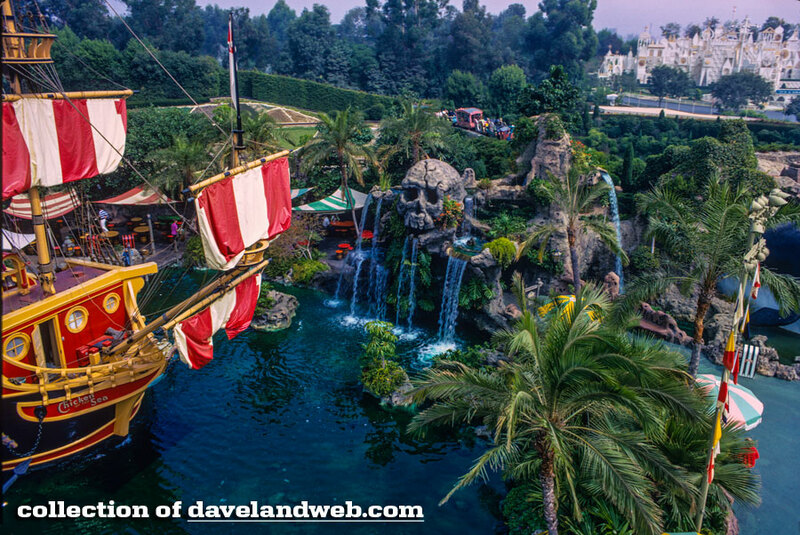 Enjoy - and get those New Year’s Resolutions Ready! 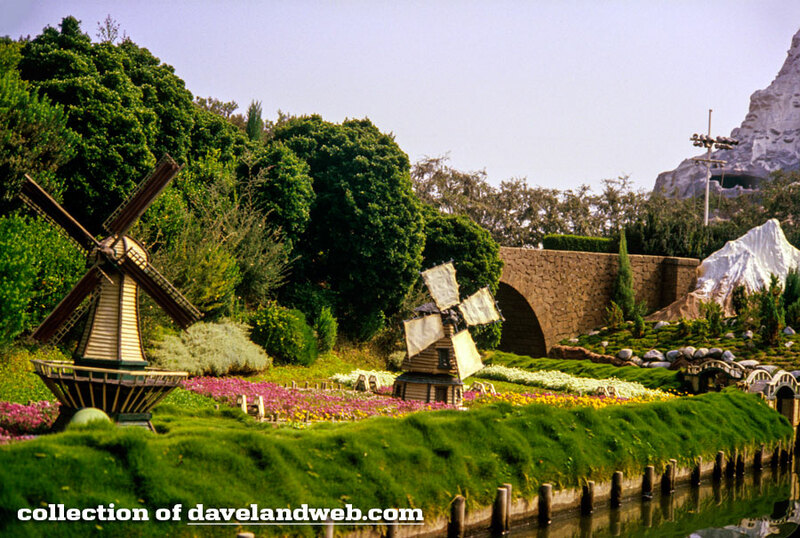 For more Tomorrowland photos, visit my regular Disneyland website. 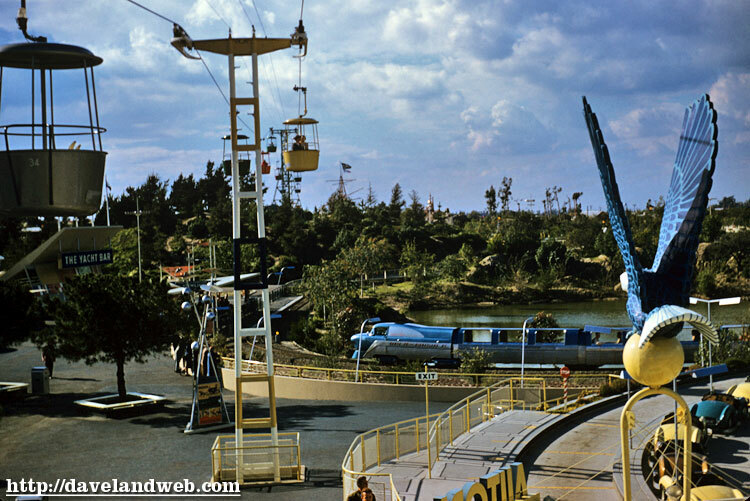 Here’s a cool one of Tomorrowland, including the not often seen Blue Fantasyland Viewliner, The Skyway, The Yacht Bar, the Autopia Eagle Sign, and if you look closely, a poster advertising the Stagecoach Attraction in Frontierland. 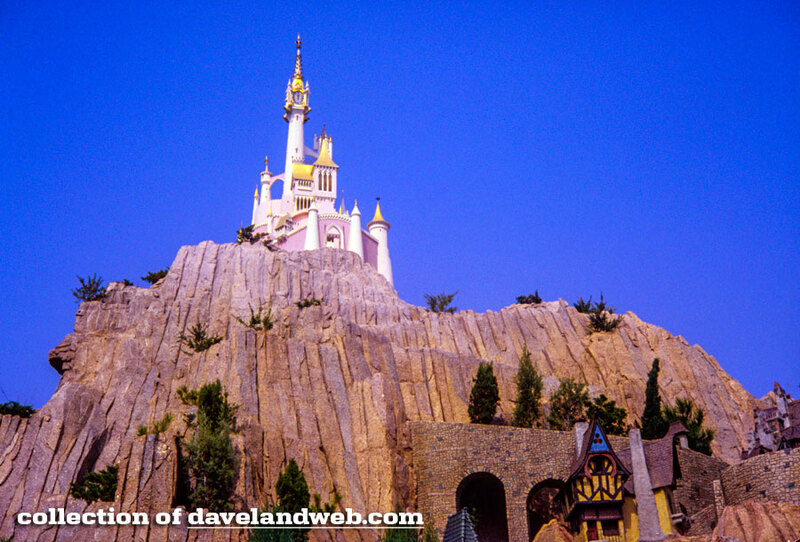 I have also included a closeup detail of the Viewliner, especially for Disney Dutchman. 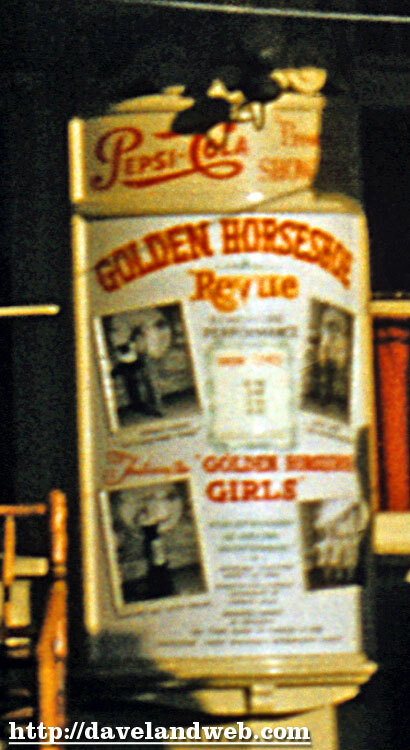 Besides the regular image of the front of the Saloon, I am including two close-up views for the other signage geeks (besides me). 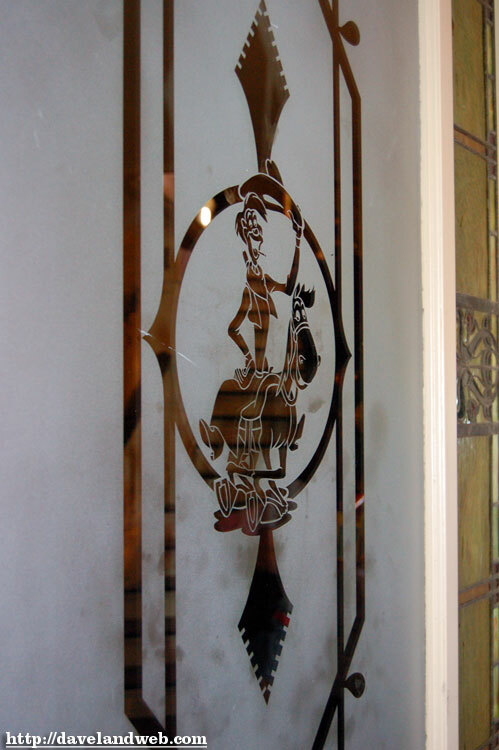 In addition, here’s a recent photo I have taken of the Pecos Bill frosted glass window, which I first noticed only recently. 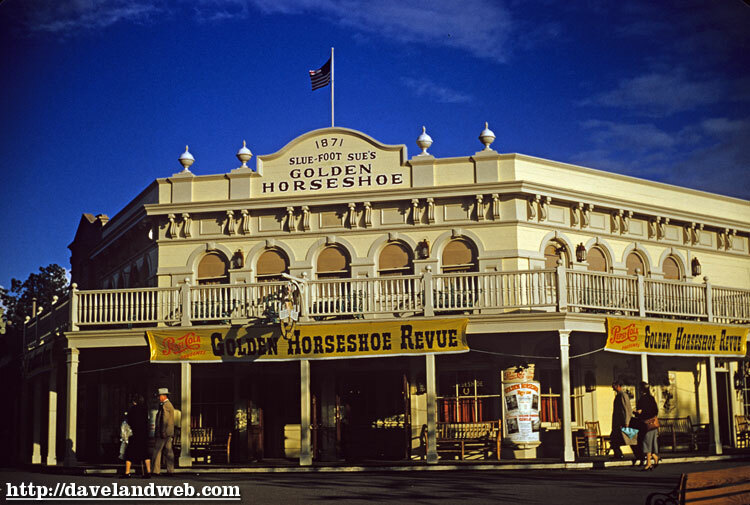 For my Golden Horseshoe photos visit my regular, website. 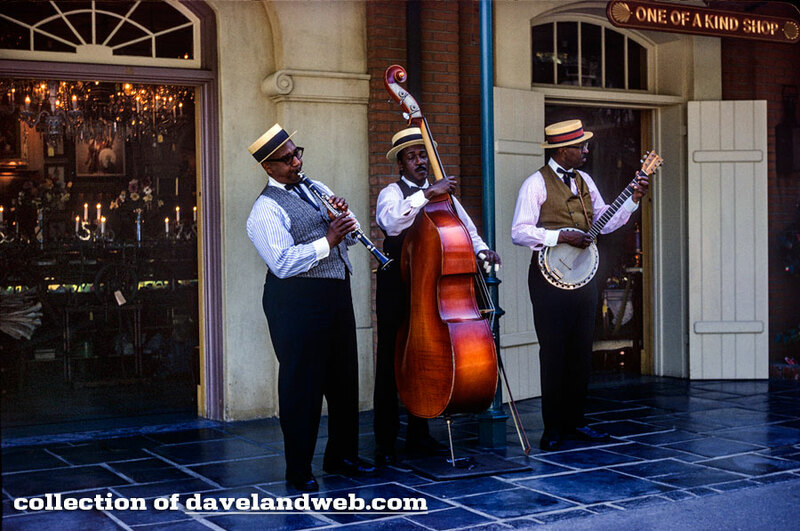 Here are the Royal Street Bachelors, formerly known as the Young Men of New Orleans, playing some jazz outside of the One of a Kind shop. 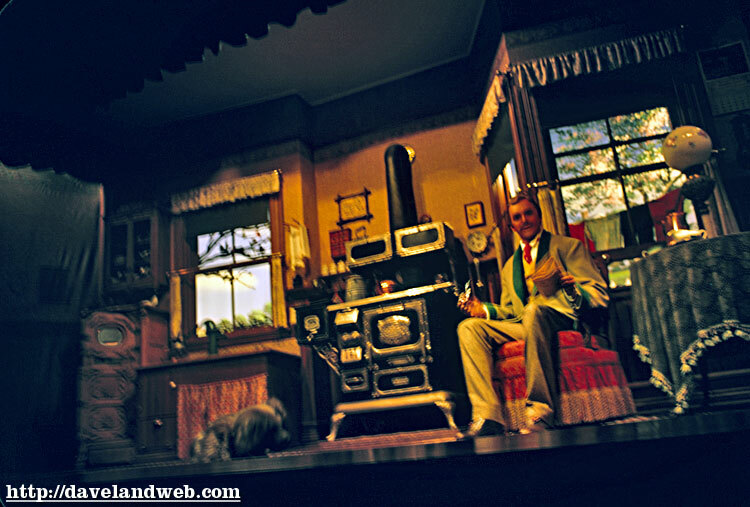 I have lightened the doorways to the shop so that you can see the interior better. 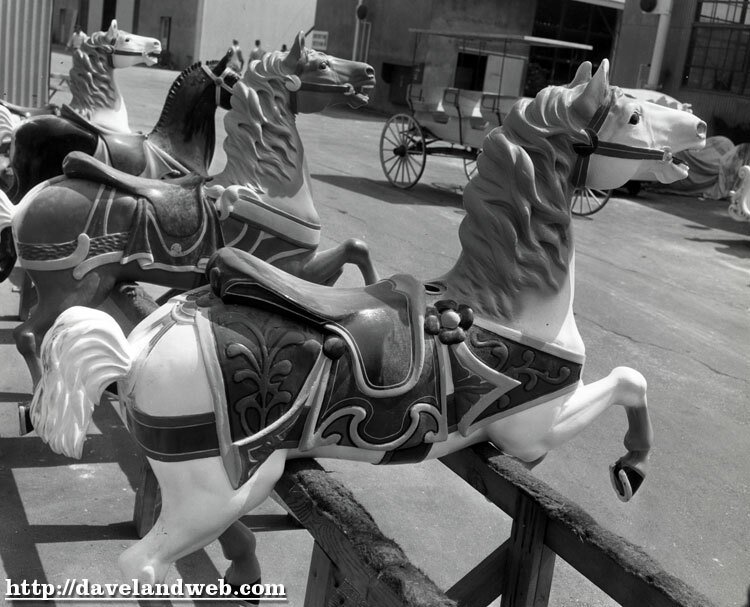 For more New Orleans Square photos, visit my regular website. 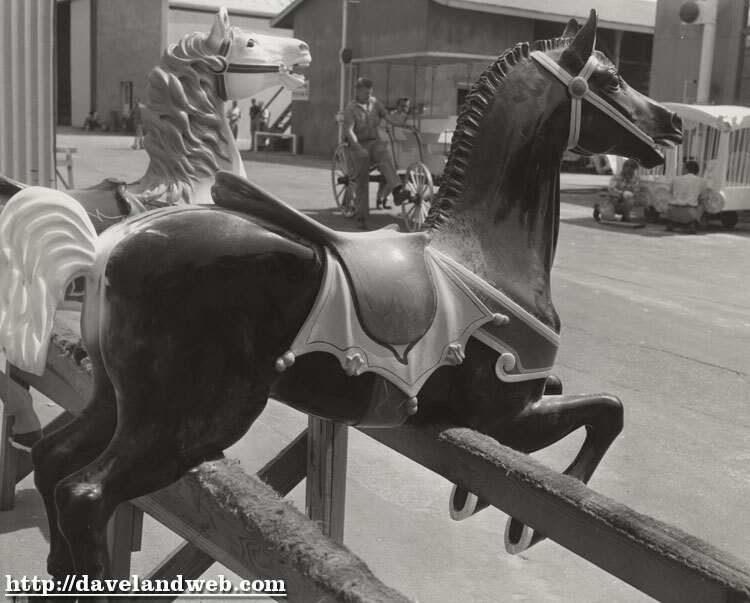 Here are a few photos of the Carousel Horses on the backlot as they are in the process of being painted and refurbished for Disneyland. 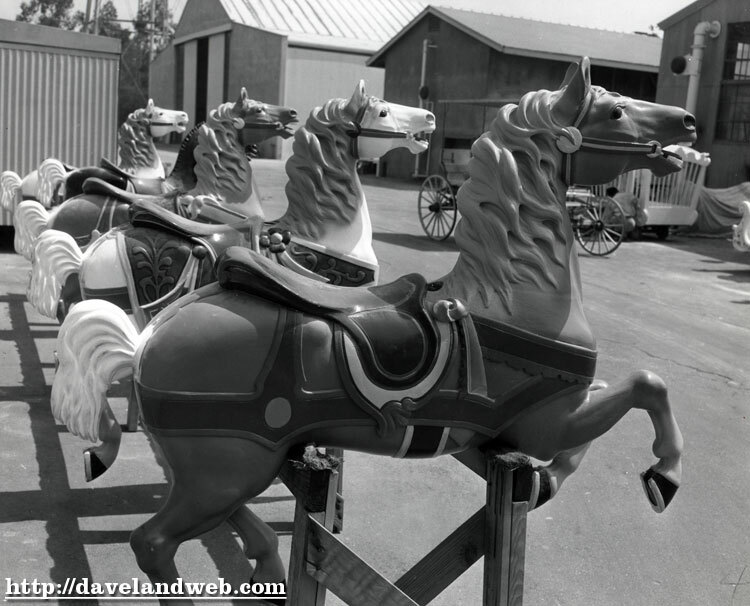 In the background of the photos, you can see the Frontierland Carriage and cars for Casey Junior, which were apparently part of the original Carousel that these horses were taken from. 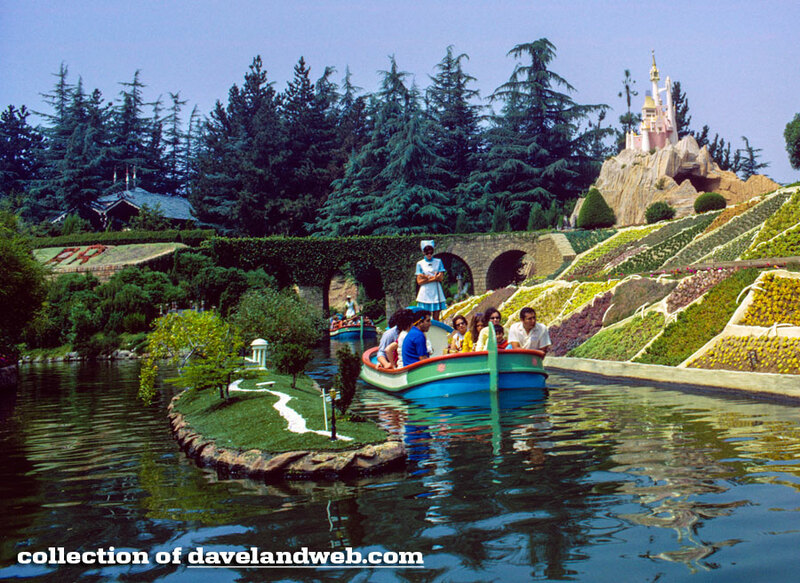 Check out my regular Disneyland website, davelandweb.com/disneyland for more vintage and current Disneyland photos.. 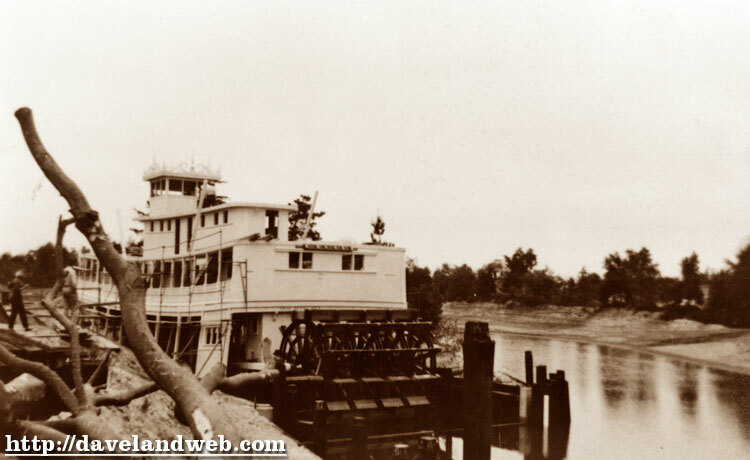 These are the last photos from the May 1955 construction batch. 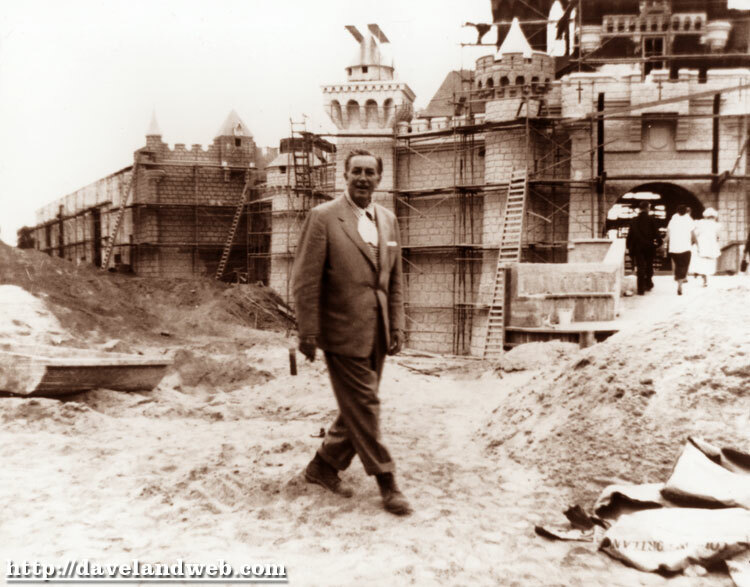 The first shows Walt walking in front of the unfinished castle, and the second shows him having a conversation while standing near one of the castle’s spires. 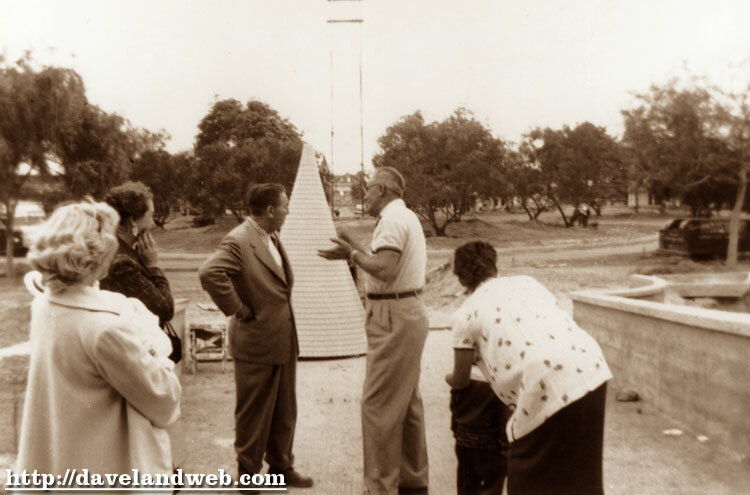 Not sure what this guy is telling Walt, but it looks like an excuse to me, and Walt does not seem interested. 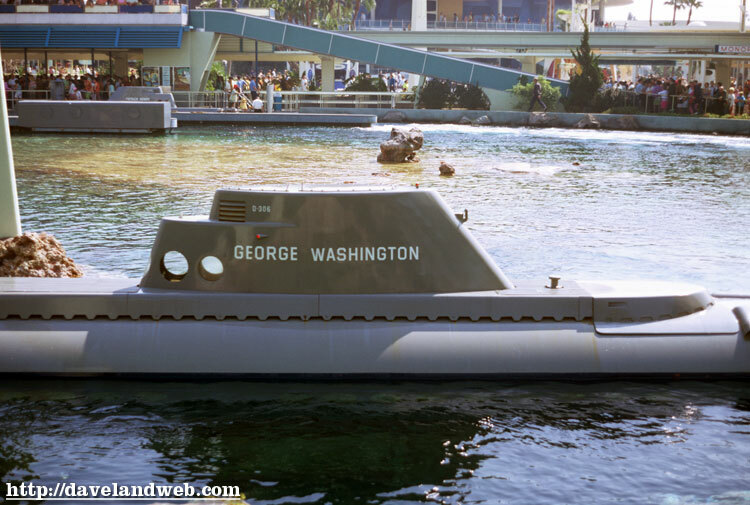 Just make it happen, buster! 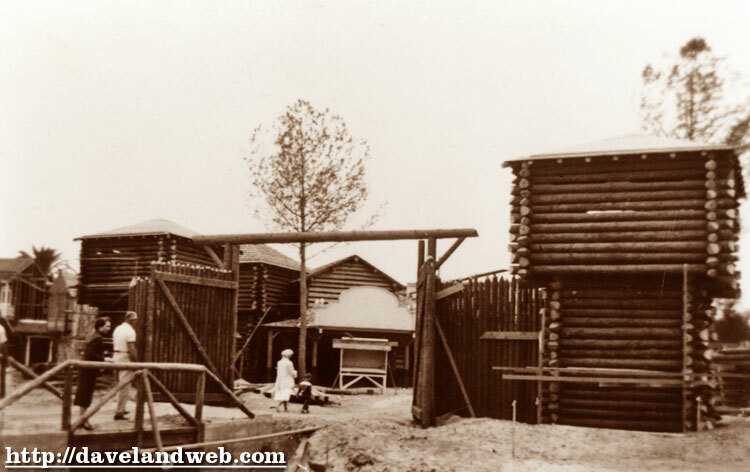 Moving on, we have pics of the Frontierland Gates and also an unfinished Mark Twain, looking a little nekkid without its decorative gingerbread trim. 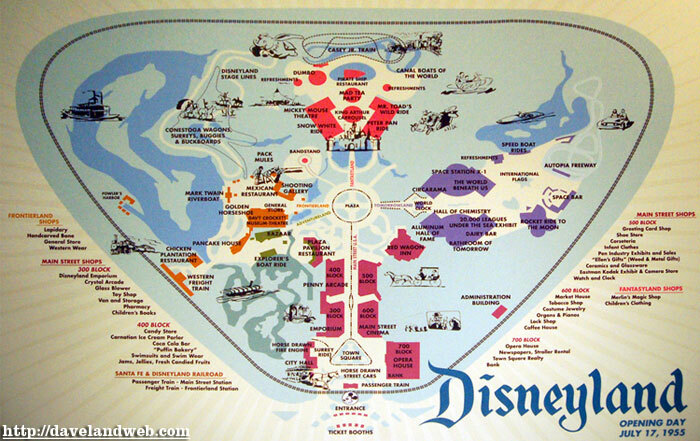 This last photo shows the map currently at the Main Street Opera house and features the layout of the park on opening day. 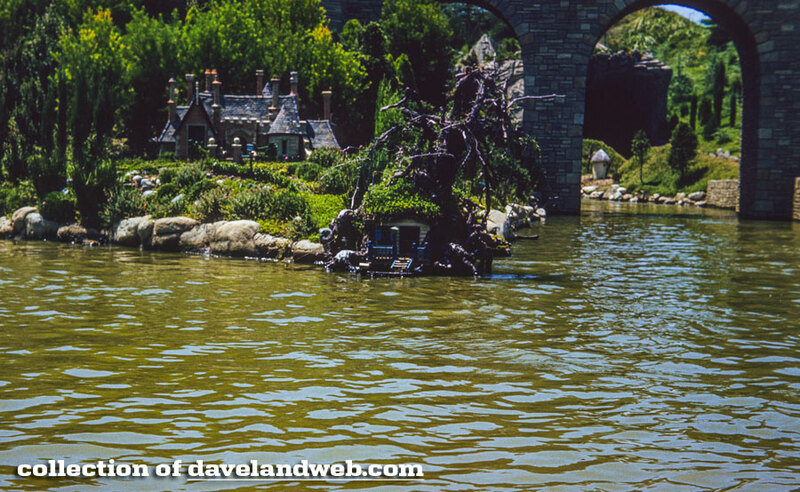 Although the miniature display at the Opera House has been criticized for some inaccuracies, it’s still a very cool work of art not to be missed. 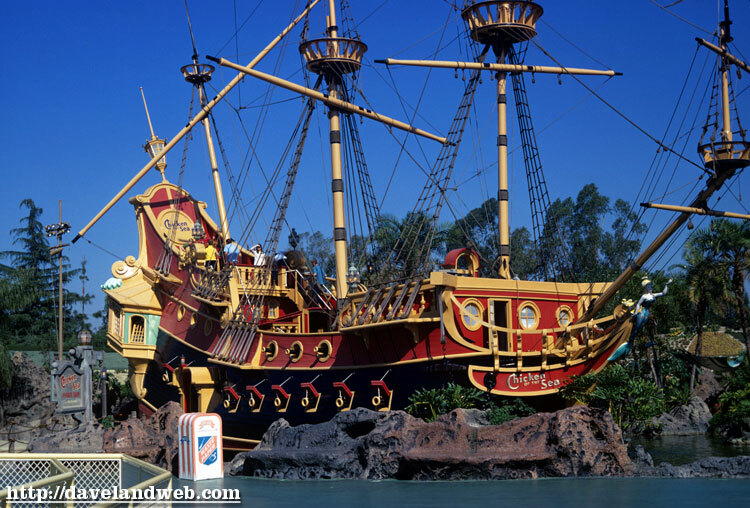 Follow my updates on Twitter. 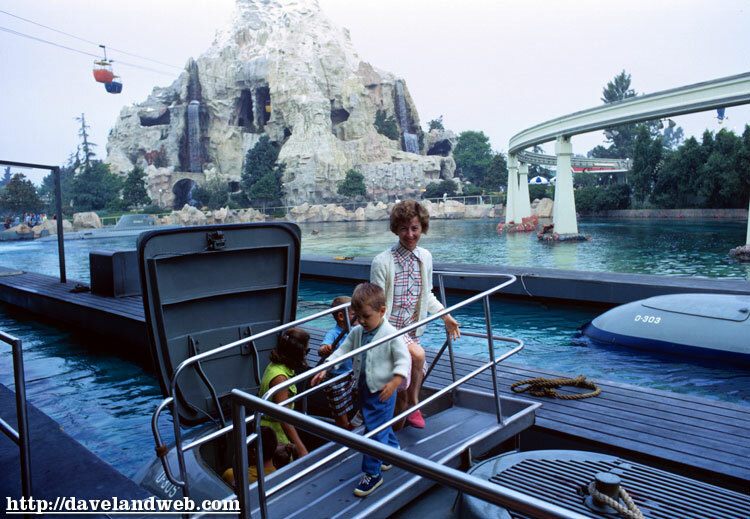 To see more vintage & current Disneyland photos, visit my regular website.